An orange is one of the most common citrus fruits liked by one and all. It is widely grown in warmer climates, and distributed worldwide. The best part about an orange is that it is a predigested food and is thus readily absorbed in the blood. It produces heat and energy in the body immediately after use. The orange is full of protective food ingredients like vitamins A, B, C and calcium. It also contains sodium, potassium, magnesium, copper, sulphur and chlorine. Its vitamin C content helps the body tissues to use the calcium contained in the food. Oranges are said to be anti-hypertensive, sedative, anti-spasmodic, diuretic and antidepressant. They are helpful in controlling hysteria, insomnia, nervous tension. Oranges are known to prevent frequent attacks of common cold, influenza and bleeding tendencies. Orange juice, among all fruit juices, is most suitable for all ages and can be given with advantage in all kinds of diseases. Orange is an excellent food in all types of fever, especially when the digestive power is seriously hampered. It is also ideal in fevers like typhoid, tuberculosis and measles. It gives energy, increases urinary output and promotes body resistance against infections, thereby hastening recovery. It is very effective in chronic dyspepsia. It supplies nutrition without burdening the digestive organs. It stimulates the flow of digestive juices, thereby improving digestion and increasing appetite. Orange is beneficial in treating constipation as well. Taking one or two oranges at bed-time and first thing in the morning is an excellent way of stimulating the bowels. An excellent source of calcium and vitamin C, orange is valuable in prevention of diseases of the bone and teeth. Large amounts of orange is beneficial in pyorrhea and dental carries. Orange juice is considered an excellent food for infants. It especially benefits the children whose growth is unsatisfactory. It prevents scurvy and rickets and helps growth. The use of orange juice with honey is a very safe energy giving food. Orange juice mixed with a pinch of salt and a tablespoon of honey is an effective food remedy for tuberculosis, asthma, common cold, bronchitis and other conditions of cough. 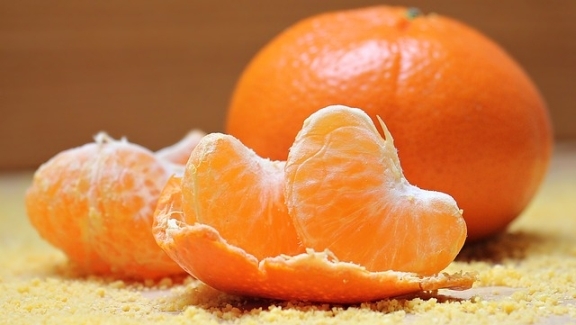 Orange peels are used in the treatment of acne and pimples. The peel, pounded well with water on a piece of stone, should be applied to the affected areas. It is said to be more effective, if it is pounded with rain water. An orange is one of the most common citrus fruits liked by all. The best part about an orange is that it is a predigested food and thus is readily absorbed in the blood and give energy.The orange is full of protective food ingredients like vitamins A, B, C and calcium. It also contains sodium, potassium, magnesium, copper, sulfur and chlorine. Its vitamin C content helps the body tissues to use the Calcium. Rejuvenate all the body organs. Orange Peel is one of the greatest sources of vitamin C .Other constituents include p-synephrine, pectin, volatile oils, hesperidin, protein, carbohydrates, fiber, calcium, potassium, phosphorus, iron and vitamin A.
I need to stop throwing this super food away! Bookmarked! I def. want to introduce orange zest into some dishes. dry orange peels. grind them into powder and apply on face its paste....the best results!!! If orange is your favorite fruit, it speaks of a person who has enduring patience and willpower. You like to do things slowly, but very thoroughly and are completely undaunted by hard work. You tend to be shy, but are reliable and trustworthy friend. You have an aesthetic bent of mind. You select your partner with care, and you love with all your heart, and not in for just a fling. You avoid conflict at all costs. rubbing orange peel on your skin will prevent mosquito bites. orange juice is beneficial to our health. It’s rich in calcium and folic acid. The nutritional value of orange makes it good for indigestion, constipation, bowel disorders, dyspepsia, dental care, pyorrhea, bone health, heart diseases, respiratory problems, cold, cough, influenza, skin care, pimples, acne, fever, measles, typhoid and tuberculosis (T.B. ).